Today felt like a gift. Each moment was wrapped in a shiny bow, and I untied every second. Due to a late parent-teacher conference night earlier in the week, I only had to work until 11:00. The kids didn’t have school at all, so Clark took a vacation day. As soon as the work day was done (okay, maybe 10 minutes early) I raced to Sam and Maggie’s Halloween-themed piano recital. The concert had started, but thankfully I didn’t miss my two stars. They are all about Harry Potter these days, so of course they dressed in Hogwarts uniforms (sans capes) and played their little hearts out. I was so proud it nearly ripped my heart out. Next he played Halloween. Something about this song really spoke to him. He loves playing it! In case you’re wondering, Harry Potter’s blue tennis shoes are entirely my fault. I was counting on him wearing black snow boots with his costume. Oops. The kids were riding high on a balloon of relief after the concert, so we sailed over to Benihana for a celebratory lunch. Benihana is a family favorite – the kids never tire of the onion volcano or watching the chefs juggle eggs and flip shrimp tails into their hats. Plus, we all love the food. After lunch we had reserved seats at a movie theater to watch Alexander and the Terrible, Horrible, No Good, Very Bad Day. Yes, you read that right. Reserved seats at a movie theater. In king sized recliners! Anyone who hasn’t checked out the remodeled theaters at the Dimond Center really should. We were extremely comfortable and thoroughly entertained. Sam laughed so hard I thought he might pee in his ginormous chair, and by the time the movie was done I had cried off every speck of my mascara. From laughing. After the movie we shifted into divide and conquer mode. Clark and Sam went to the local high school championship football game, while Maggie and I headed to pick out this year’s pumpkins. I love shopping with Maggie because she still holds my hand. 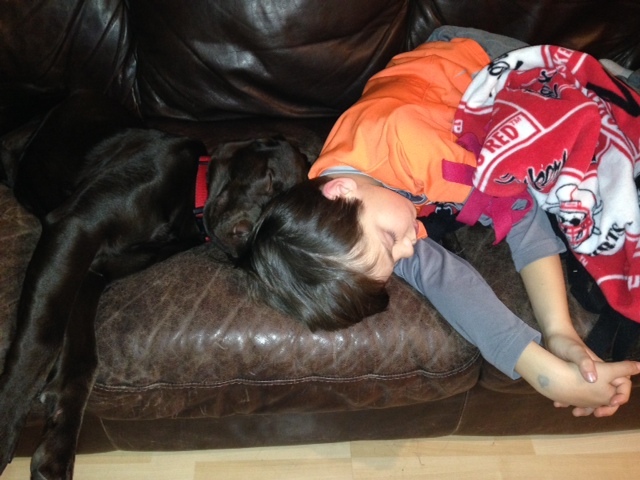 Sam has given me the shake-off so many times that I don’t even try any more. 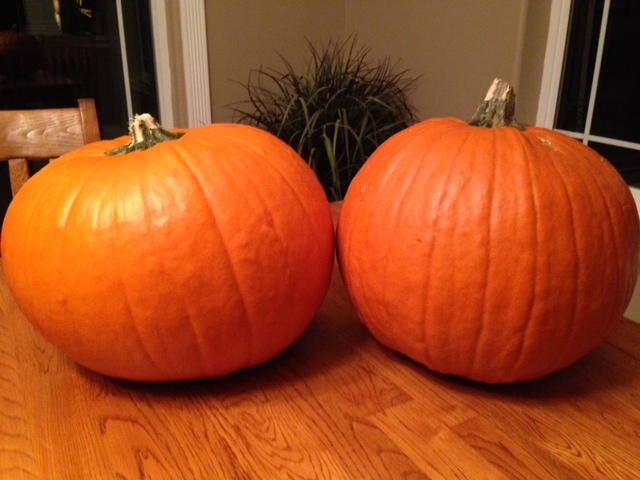 The local pumpkins were pretty beat up this year, but we found a few that should work. Tomorrow the kids have a Halloween carnival, and will wear their Harry Potter and Hermione costumes for the first time. 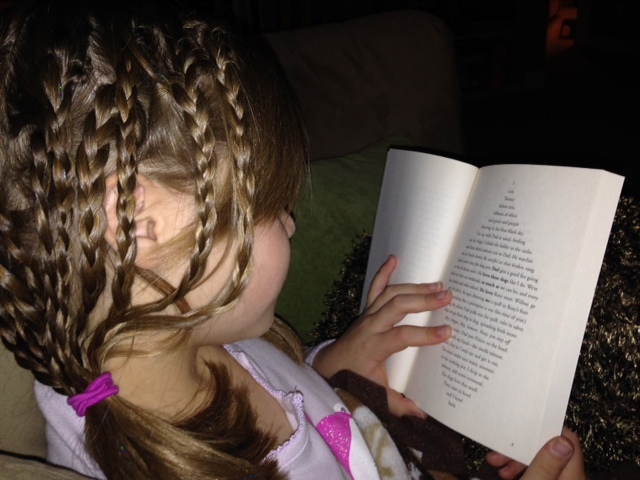 To create Hermione’s crimped look, Maggie is sleeping in these wet braids. I can’t wait to see if it works! Maggie asked if we could read Diamond Willow before bedtime. She was amazed when I showed her my autographed copy of this beautiful book! So now I shall carry my child to bed, for what I realize is one of the last times. It’s a bittersweet bow to untie, but the kid is getting heavy! It feels like I’ve had the best weekend in ages, but guess what? It’s only Friday!